This Retro Video Game Party was so fun to put together and I’m excited that it’s been featured in Calgary’s Child Magazine! You can read the full details of the party there but I’ll share all the fun party photos with you here. I’ll admit that I’m not much of a video game person so I had to recruit my husband’s help with this one. I think it has some really cute details and we’ve made this into a printable party package in our Etsy shop! 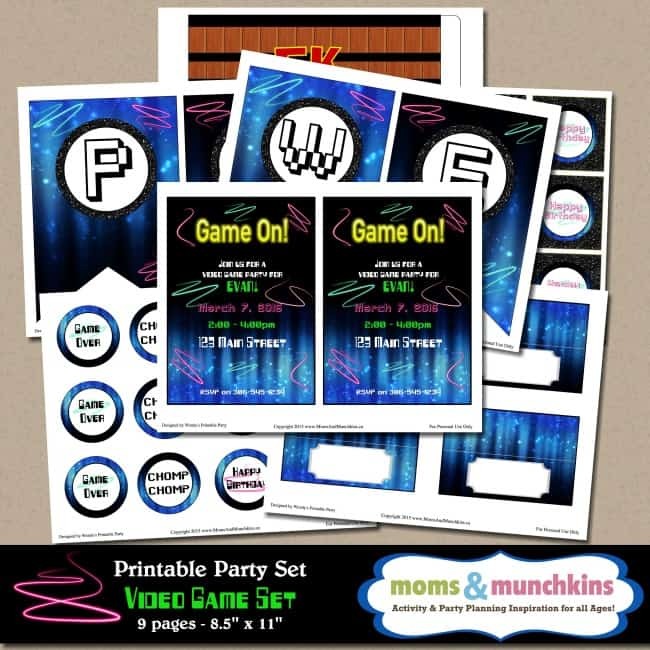 Thank you to the fabulous Wendy of Wendy’s Printable Party for her help with the printables. 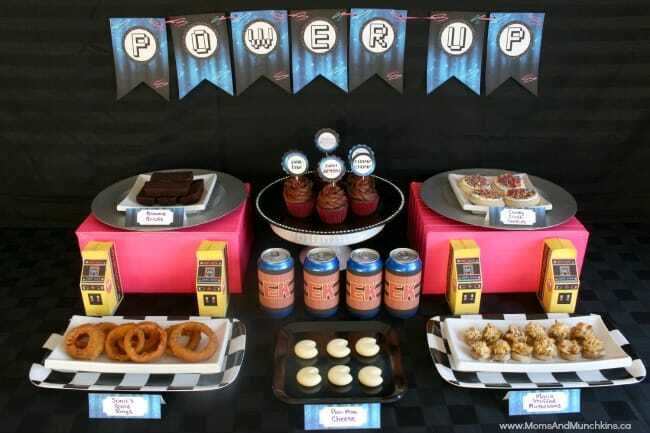 To set the scene for the party, I used a lot of black and neon colors. I love the contrast! 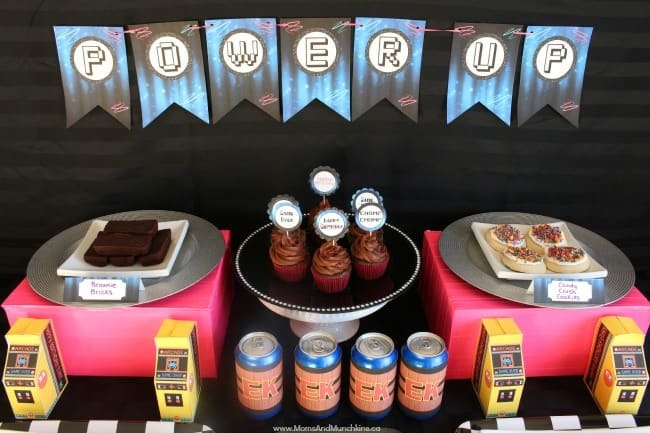 We also have a Power Up banner behind the party table. 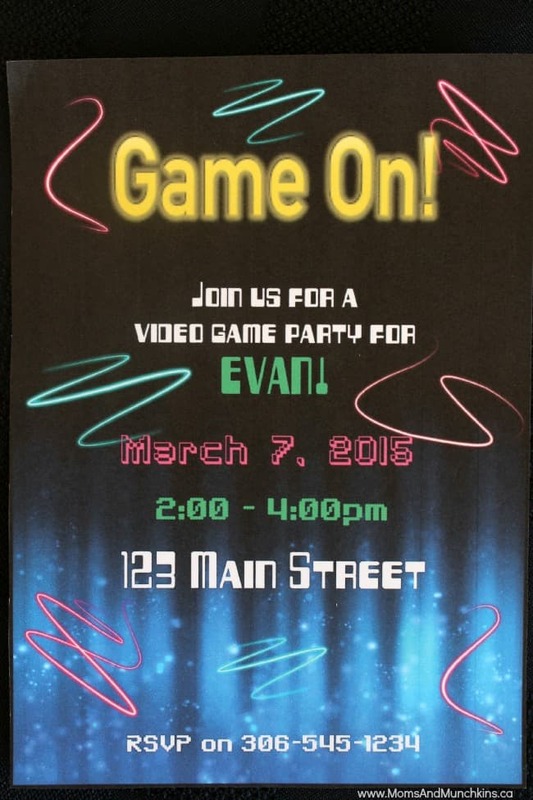 The invitation was also designed with the dark background and neon color scheme in mind. 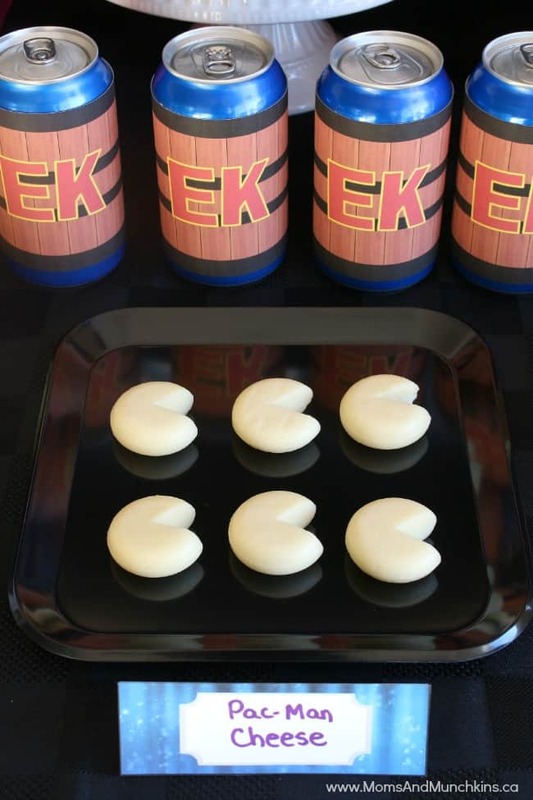 For food I served Babybel cheese cut to look like Pac-Man. 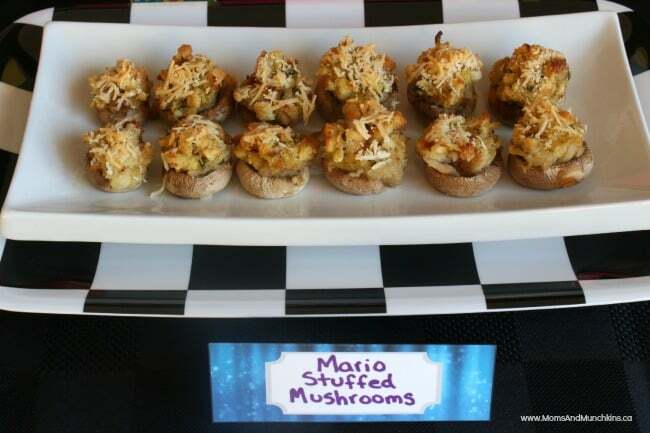 Stuffed mushrooms which are basically mushrooms stuffed with stuffing and baked with cheese on the top. 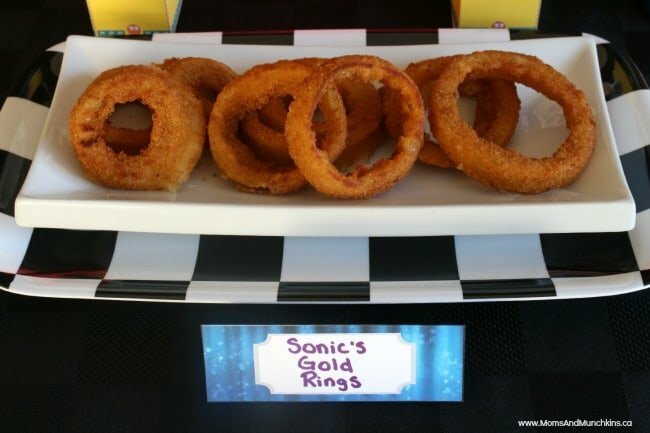 Onion Rings were labeled as “Sonic’s Golden Rings”. 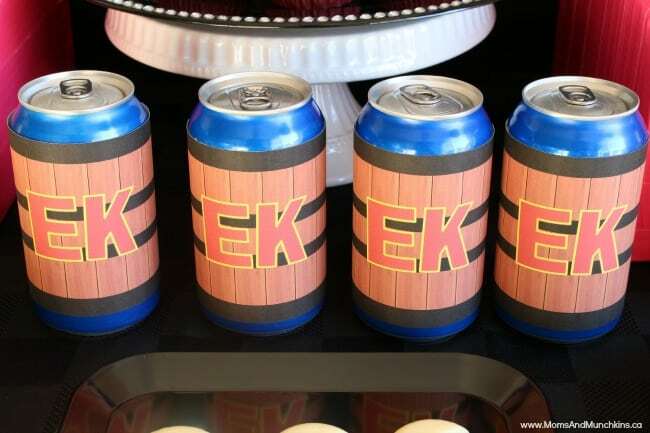 Like Donkey Kong’s famous barrels, we have printable barrel wraps in the Etsy shop that you can personalize with your child’s initials. 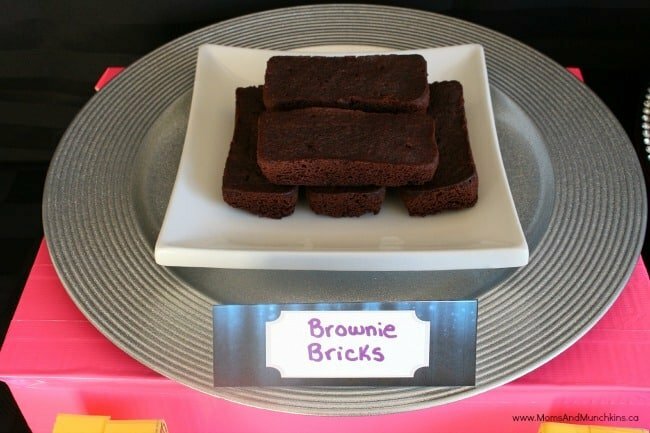 Brownies make an easy treat labeled as “bricks”. 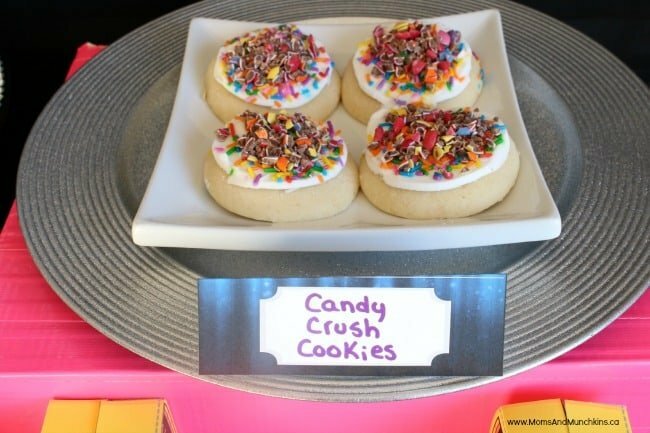 Crushed candies on cookies are turned into “Candy Crush Cookies”. Messy but delicious! 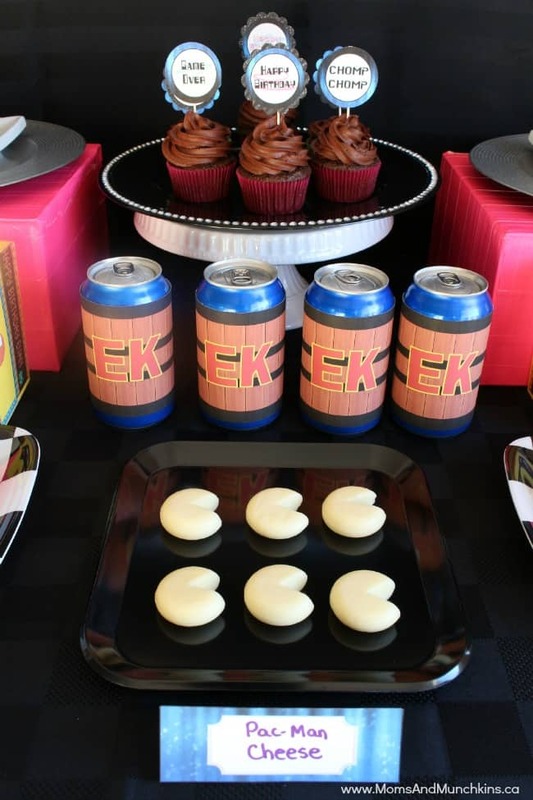 Of course a party wouldn’t be complete without cupcakes so we have matching cupcake circles for these. 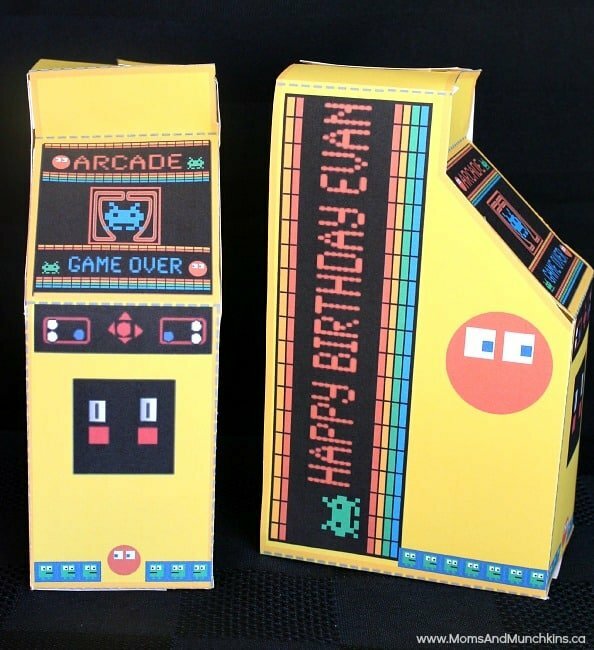 These fun arcade game printable favor boxes are available in Wendy’s Printable Party Etsy shop. 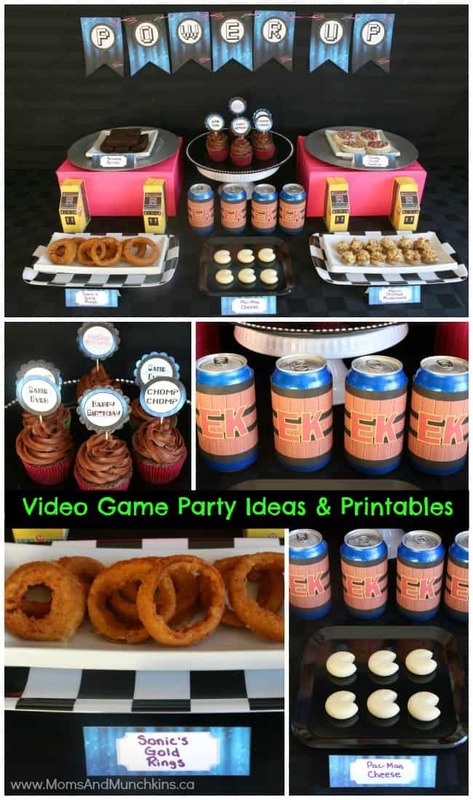 This printable Retro Video Game Party set is now available in our Etsy shop. Remember to head over to Calgary’s Child Magazine to see all the fun party details! 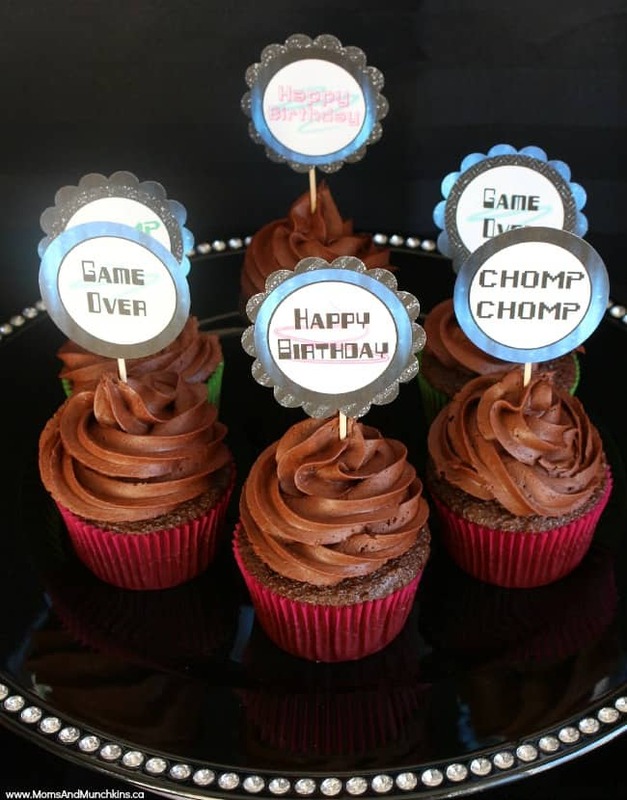 For more fun party ideas, visit our Party page. We’re always adding new ideas for parties & family fun. Follow us on Facebook, Twitter, Pinterest, Google + and Bloglovin’ for the latest ideas!